I never thought supporting the American Cancer society and Stand Up To Cancer would be such an amazing experience. Last month I participated in The Rugged Maniac obstacle course run, and the Night Nation Run (which was really an unbelievable music festival). Early registration or groupon registration is as low as $29. I’ve seen other races that go for over $100. If you want to donate to the fight against cancer, you have the option of paying more or starting a fundraiser page to get sponsors, but all of that is optional and isn’t pushed on anyone. Plus, they are fully refundable, unlike other events. 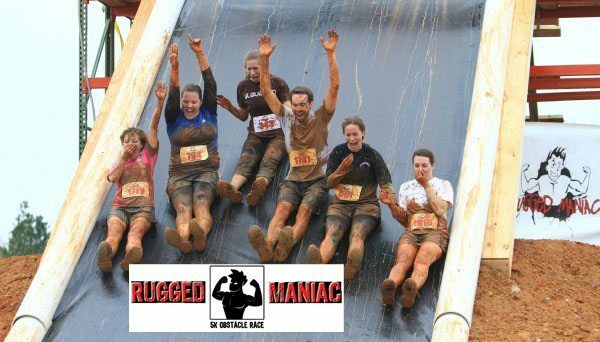 If you’re a crazy athletic type who likes to get rugged, you can participate in the Rugged Maniac Run. If you’re not competitive at all and just want to have a workout or an all around good time, the Night Nation Run is for you. If you’re a night person, do the Night Nation Run. If you’re a day person, do the Rugged Maniac Run. You even get to choose the time you run. If you are a serious competitor, then there’s a special run for you but you can also run for fun. 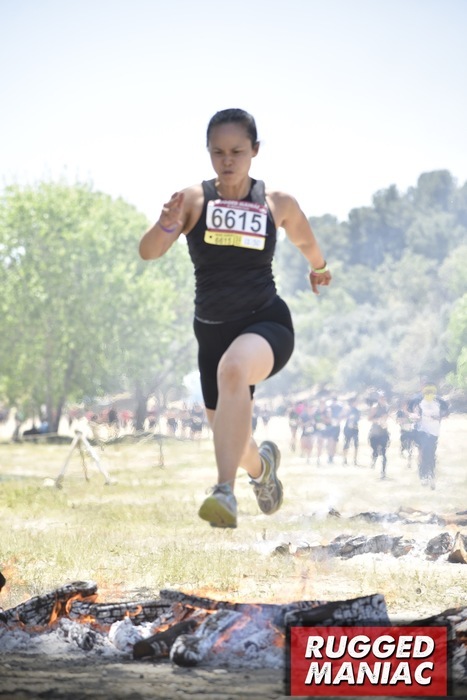 At the Rugged Maniac Run, I got to participate in 25 obstacle courses on a 5k course. You can also do a 10k if you like. Some of the obstacle courses are akin to what you would see in the military, like climbing over walls and crawling under wire but there were also inflatable water slides and a warped wall like in the show Ninja Warrior. Everyone was super supportive. It was a hot day, but the course had lots of water and mud so it kept me cool. There’s also a festival with contests and prizes involving a mechanical bull, a pull up contest and a plank contest. I won a free t-shirt from winning the pull up contest and one for almost winning the plank contest. I participated with my son and we both received a ton of free stuff. Here I am leaping over a fire pit! We’ve all had friends and family who either survived or passed from cancer. As hard as it is on all of us, I’ve learned that life is just too short. We get caught up in our ruts and routines and we forget to truly live. Remember to take the time to do something different, even if its not one of these events. Sometimes its hard to break from routine, but once I do something like this, I feel so much better. Life becomes more meaningful and I’m glad to have spent quality time with my loved ones and fellow human beings. Isn’t that what life is really all about? 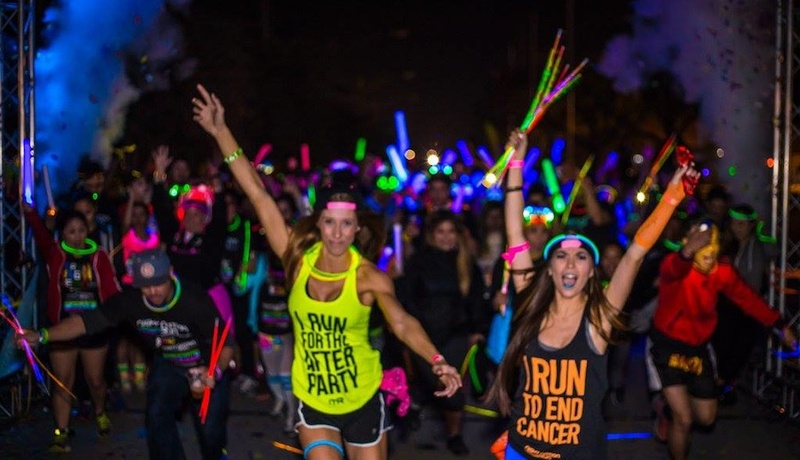 While all the proceeds from these events goes to fighting cancer, it fights cancer in other ways. First, it brings people together. Evidence has shown that people who have a strong support group are more likely to survive the disease. Secondly, it forces us to get exercise. Numerous studies have shown that exercise helps prevent many kinds of cancer. Third, it gets us out which means we’re not inside getting depressed as depression can lead to more chronic health ailments. I don’t like to think of exercise as a work out. I like to think of it as play, a way to move, to get out and to connect with others. I also think of it as a meditation and as an experience that teaches us to overcome our many obstacles. People who suffer from cancer also need to overcome many obstacles. Let’s lift them up by being there for them and doing something that makes us positive about living.